LINCOLN, AL – The folks at insurance giant GEICO know a thing or two about marketing; after all they made a lovable gecko the world’s most famous lizard! So as a major sponsor of one of America’s most popular sports, NASCAR auto racing, it was only natural that they would come up with ways to maximize their on-site exposure. This is exactly what they did during the GEICO 500 at the fabled Talladega Superspeedway, using a wall of CHAUVET Professional PVP X6IP outdoor-rated video panels from Dynamic Productions USA. Attracting over 80,000 spectators and millions more on television, the GEICO 500 is not only one of the most popular events on the NASCAR racing circuit; it’s also one of the most exciting. Located at a former Air Force base in northeast Alabama, “Dega,” as it is affectionately known to millions of race fans, is not only the longest NASCAR oval track, measuring 2.66 miles, it also has some of the steepest banking and widest lanes in racing — all of which makes for wild and unpredictable racing with 30 or 40 lead changes per race not uncommon. Outside the track itself, a New Orleans Mardi Gras style atmosphere prevails on the legendary Talladega Boulevard. Fans attending this type of event are seeking intensity, and the CHAUVET Professional PVP X6IP video wall did not disappoint at Talladega. 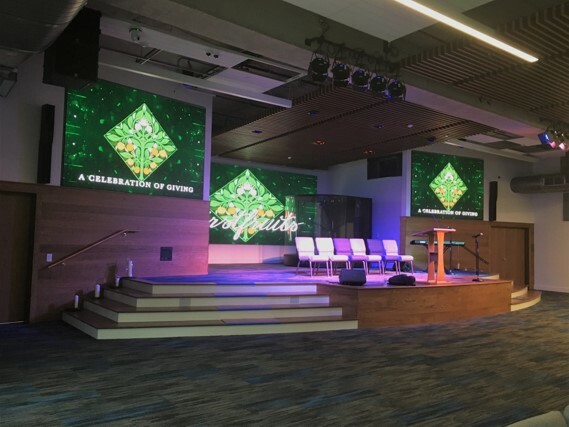 Thanks to the panels’ illuminance of 4,500 NITS, the bold colors and video images they displayed stood out even in the light of a sunny Alabama day. “Everyone involved in this project was very happy with the looks we got from the panels,” said Brian Rosenblum of Dynamic Productions USA. The Talladega race was the second event on the GEICO NASCAR tour to call upon the intensely bright PVP X6IP to generate on-site excitement. 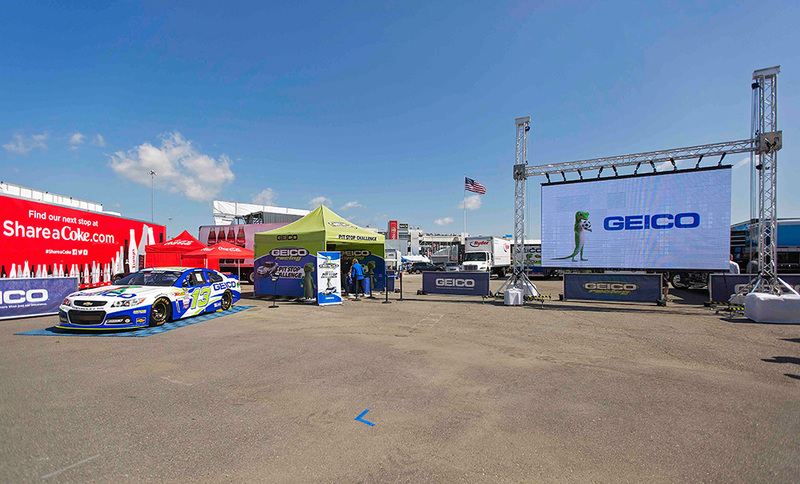 Earlier, the panels were used effectively by GEICO at the Richmond International Speedway. 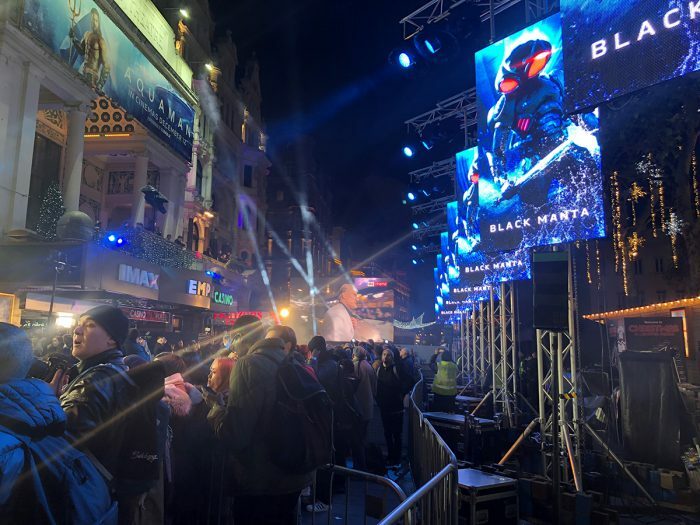 The PVP X6IP was selected to be a part of this marketing project because of its IP65 rating, weatherproof SMD 2623 LEDs with a pixel pitch of 6.9 mm, 4,500 NIT brightness, and its 8% transparency blow-through design for outdoor applications. Sealable louvers provide the option of closing the panel to block back light when used indoors, a feature that Dynamic Productions appreciates when using the panels in other applications, according to Rosenblum. 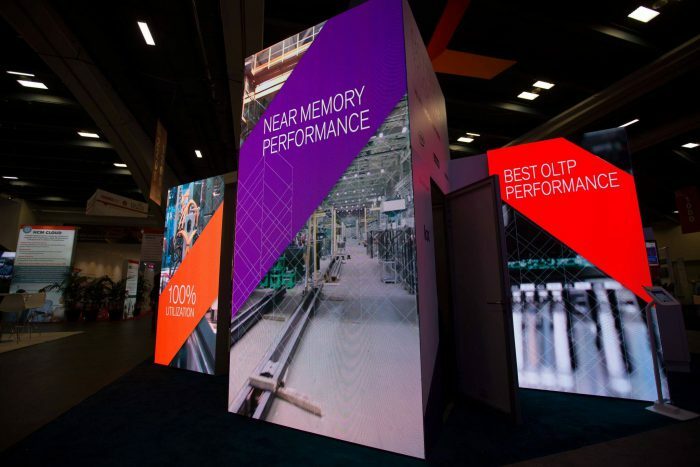 Dynamic Productions used 60 of the PVP X6IP panels, which measure 19.7 x 3.27 x 20.35 inches/500 x 83 x 517 mm, to create an impressive video wall. Controlled via an Edirol LVS-800 8-channel + 2x VGA Mixer, the outdoor rated panels were used to show videos of GEICO commercials, abstract patterns and IMAG images from the GEICO stage. In contrast to the actual race itself, which as usual was marked unexpected twists and turns (part of the excitement! ), the panels performed flawlessly throughout the event, helping RedPeg drive the GEICO marketing message to NASCAR fans.